Preview May 9 at 7:30 p.m. Runs May 10, 11, 16, 17, 18, 23, 24, 25, 7:30 pm. Sunday Matinees: May 12, 19, 26, 2:00 pm. 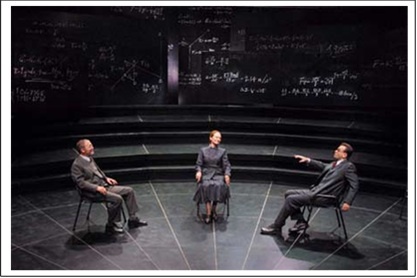 Michael Frayn’s Tony Award-winning play focuses on the 1941 meeting between Niels Bohr and Werner Heisenberg in occupied Denmark. It explores both Heisenberg’s uncertainty principle and the uncertainty of the human condition, the ethical responsibility of the scientist, the dawn of the nuclear age, and the trauma that was World War II.